Nestled deep within the Andean mountain range and bordering the infamous Beagle channel, Ushuaia is home to arguably some of the most unique and picturesque scenery in the world. 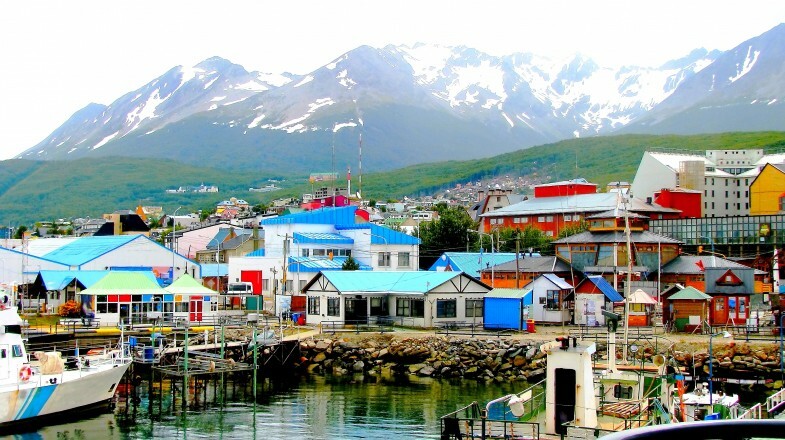 Though it is located just three hours away from Buenos Aires by plane, the bustling port of Ushuaia is the southernmost city in the entire world. In fact, from here, you are just 1207 km away from Antarctica! At first glance, Ushuaia may look relatively quiet and quaint — its pastel colored houses and structures seemingly offer little room for adventure and exploration. However, there are plenty of things to do in Ushuaia that will keep you occupied for several days during your Argentinian travels. Those who enjoy hiking and exploring the great outdoors will revel in the pristine nature at the Tierra del Fuego National Park. 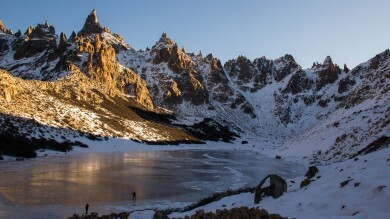 The park is accessible on a day hike from Ushuaia, where slippery icy glaciers peek out from above the trees, miles of isolated steppe extend as far as the eye can see, and dense forests, peat bogs and challenging terrain occupy the land in front of you. Tierra del Fuego has one of the most advanced hiking trails to offer in Patagonia. The scenery is beautiful, yet moody and mysterious with a history to match. Locals tell stories of indigenous tribes, shipwrecks and otherworldly beings that have lived in this area. After your visit, you will feel as though you have just returned from an ethereal land also. Best season: The warmest months to travel to Ushuaia are between December and March. If you are an avid trekker and the Tierra del Fuego accounts for a large portion of your Ushuaia itinerary, then perhaps you may wish to travel either side of this period to avoid hiking in the highest temperatures. Good to know: There are various options available for trekking at Tierra del Fuego. Inexperienced hikers need not to worry since there are plenty of guides available for hire in Ushuaia that offer treks for a reasonable fee. You can establish a trail depending on your own skills and fitness levels — so whether you want to be scaling rock faces like Indiana Jones or you prefer a steady walk out to the peat bogs, there are plenty of options available to you. 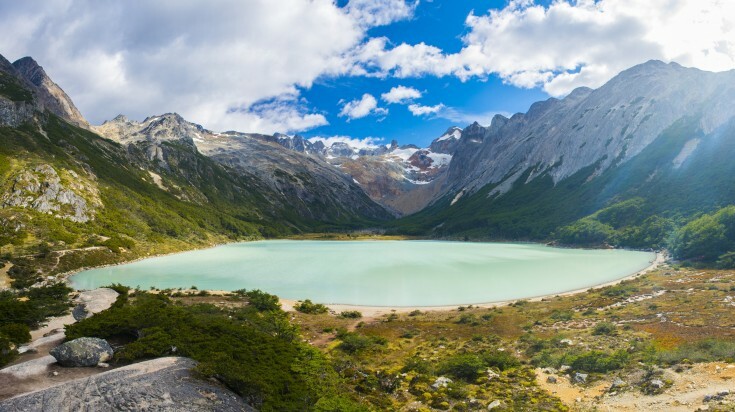 A simple and scenic day hike to take from Ushuaia is to trek the sludgy pathways that lead you from the town to the shimmering emerald lakes of Laguna Esmeralda — an incredible glacier lake. The hike is pretty simple to complete — the terrain is flat and stable, and the trails are well marked. As such, even the most beginner hikers will consider this a pleasant walk. Pack a picnic or some smoothies to enjoy on the banks of the laguna when you arrive as you marvel at the view. It is also possible to camp here if you wish. Best season: The summer months that run between December and March offer you the best conditions for camping. The weather in Ushuaia can be unreliable at most times, however this period offers a minimal chance of rain and your tent washing away! Good to know: The trail from Ushuaia to Laguna Esmeralda is well sign-posted. As such, it is incredibly easy to do this hike independently. Since this is a popular route, you will encounter many other day hikers along your way. Just a few hours’ drive north of Ushuaia lies the Garibaldi Mountain Pass. 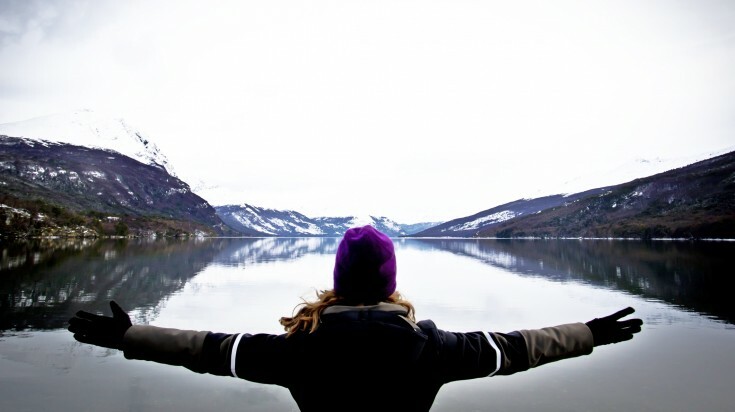 The park here is an interesting site in itself in terms of the hikes it offers, however the main highlight of Garibaldi Mountain Pass is the two majestic lakes that occupy the land here — Lago Fagnano and Lago Escondido. Best season: The best season to visit Garibaldi pass depends on your personal preferences. In the winter months (June to August), the lake freezes over and snow on the trail makes hiking here virtually impossible. With that said, this makes for incredible photographs and sipping a cup of hot cocoa in one of the cabins here while admiring the view is an almost magical experience. Summer (December to March) is the best period to visit Garibaldi in order to engage in water sports. Good to know: If you’re tired of hiking or it simply isn’t your cup of tea, there are plenty of other activities on offer here. You can opt to kayak through the lakes or take a more fast-paced 4x4 tour as you rip through the forests and cram plenty of adrenaline-filled sight-seeing into your day. Unfortunately, getting up close and personal with the glaciers that watch over Ushuaia is dangerous and impossible. The good news is that there are numerous helicopter tours on offer here that take you over them, providing you with unique photo opportunities. Your tour will weave in and out of glaciers and mountainous valleys, giving you a birds-eye view of the Beagle channel and stopping on occasion to let you get out, breathe in the fresh mountain air, and take photographs with not a single other tourist around. Best season: Though the weather can always be unpredictable, it’s better to book your helicopter tour over Ushuaia in the summer months to minimize the risk of adverse weather conditions causing your flight to be cancelled. Good to know: There are various options available for Ushuaia helicopter tours. Though this is definitely not a budget travel option, some of the tours are reasonably priced. On the other hand, others offer absolute luxury — champagne picnics anyone? Either way, it’s a perfect way to treat yourself during your trip! 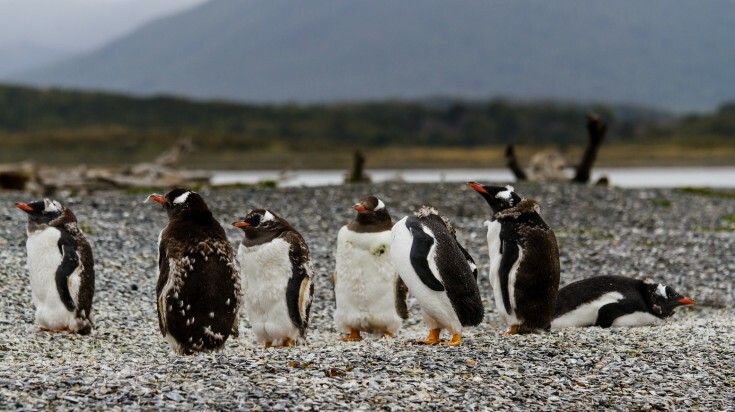 It’s not often that you have the opportunity to see adorable little penguins tottering around in their natural habitats, however at Ushuaia you absolutely can. Taking a boat over to Isla Martillo is a great way to spend an afternoon. You can get out and walk along the rocky beaches alongside the Gentoo and Magellanic penguins that live here. Many of the birds are so accustomed to seeing people that they won’t even be bothered by your presence! Best season: You need to visit Isla Martillo during the summer months (December to March) since the penguins hibernate and cannot be spotted during the winter. Good to know: Make sure that you research the tour that you are considering before booking it. Only one tour operator in Isla Martillo will take you right up to the island and let you get up close and personal with the furry friends. Others just sail close by and let you take photos from the boat. Bahia Lapataia is much more than simply taking the obligatory “end of the world” sign selfie though. There are walking trails here that lead you alongside the waterfront as the waves gently lap against the shore. As you enjoy the exercise, you can spot plenty of sea-life from the land —including dolphins and otters. Best season: Opt to travel to Bahia Lapataia during the summer months to avoid icy, slippery and potentially treacherous trails. Good to know: There are companies that offer “end of the world” tours and can create a tailor-made itinerary for you and your party that explores the regions highlights. Since Bahia Lapataia is situated within the Tierra del Fuego national park, it is also possible to get there by public transport and utilize the local shuttle service. Ushuaia acts as a great base for exploring the wider region — particularly the national parks and wildlife of Patagonia mentioned above, however the town itself shouldn’t be overlooked either. 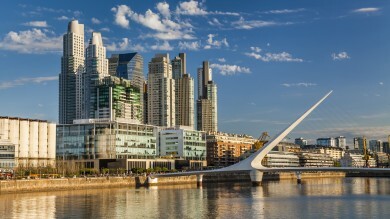 Many tourists stop by here during their travels around Argentina and the town has adapted accordingly — with heaps of quirky artisan shops, plenty of craft breweries, many friendly locals and international travelers to share food and stories with. Best season: If you are traveling solo and hope to meet other explorers during your trip, visit during the summer months as the town will be jam-packed with international travelers. Alternatively, if you prefer to miss the crowds, travel in shoulder season (October to November or April). From the water, as the small houses of Ushuaia look like ants against a backdrop of the Andes, you can get some wonderful pictures and panoramas of the city. Instead of simply taking a boat that leads you around in a circuit and then returns to the port, you can try your hand at diving in the Beagle Channel also. Sure, the waters can be icy and unwelcoming, but the tour operators will provide you with specialist wetsuits to keep you dry and warm. You may be surprised by how much life and activity exists under the surface. There are miles and miles of forests of lush green algae, colorful corals, shoals of fish, and even leopard seals that search for their dinner. Even first timers are welcomed on these dives and you do not descend too deep. Definitely, one of the best things to do in Ushuaia! Best season: Winter months (June to August) avails the calmest and clearest water for diving, although this also means the water is a bit colder. Good to know: From high speed catamarans to leisurely cruises, there are plenty of different options for Beagle Channel cruises. Some are also centered around spotting a particular type of wildlife. Ushuaia is the perfect place to unleash your Patagonian spirit and enjoy getting back to nature away from the pressures and stresses of the modern world. Whether your trip to Ushuaia is simply a fleeting visit or you have several days to spend in the region, the one thing that’s for certain is that you won’t be short of things to do in Ushuaia and your time here will remain a fond memory for many years to come.